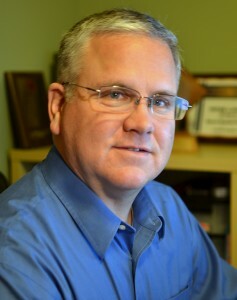 Pete Lindstrom is Research Director, Security Solutions at IDC. Previously, Pete Lindstrom was Principal and Vice President of Research for Spire Security, an industry analyst firm providing analysis and research in the information security field. He has held similar industry analyst positions at Burton Group and Hurwitz Group. In his previous position as a security architect, Pete operated as the deputy to the Chief Information Security Officer for Wyeth Pharmaceuticals. In that role, he oversaw all security policy and compliance activities and participated on project teams for designing security controls for significant IT projects. In addition, he provided design and support to the identity management functions. As both an external and internal auditor (for Coopers and Lybrand and GMAC Mortgage), Pete provided breadth and depth to roles that linked technical security requirements of organizations with business risk for companies in health care, financial services, manufacturing, and higher education. Pete honed his finance and technology skills in the United States Marine Corps where he was one of two disbursing officers in theater during the First Gulf War. In addition, he was IT Manager for Marine Corps Service Support Schools – at the time the largest training facility in the USMC. Currently, Pete conducts research in developing areas of information security. He is well-known for his work in practical enterprise security metrics, where he has advised and taught many security professionals. On the technical front, his most recent accomplishments include research findings in the areas of HTML5/Web 2.0, virtualization, and cloud computing security. This research ties traditional security principles and practices to these burgeoning new IT arenas. Pete is a frequent speaker and author on information security topics. He is on the Board of Directors for the International Systems Security Association (ISSA). He has been a columnist in both the ISSA Journal and Information Security Magazine. He has a finance degree from the University of Notre Dame and is a reformed Certified Information Systems Security Professional (CISSP) and Certified Information Systems Auditor (CISA).